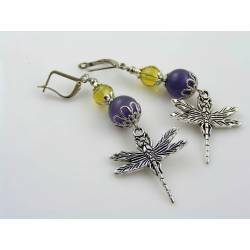 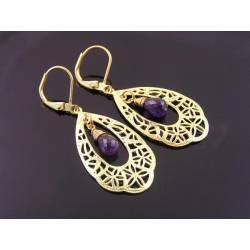 When you purchase this listing, you will receive the purple pair. 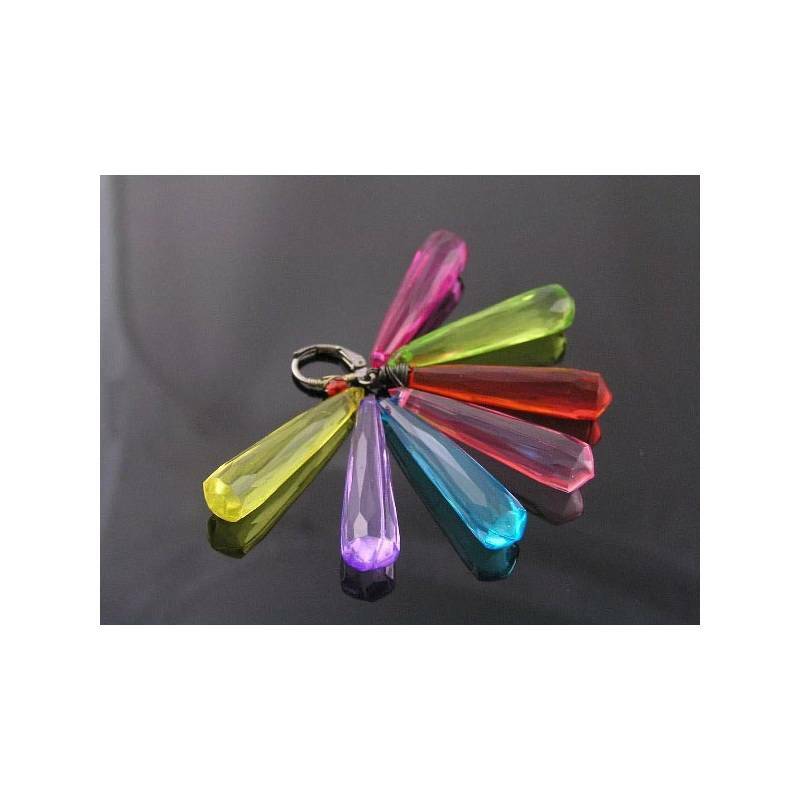 For all other colours, please contact me in advance. 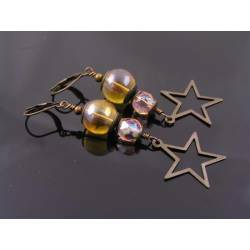 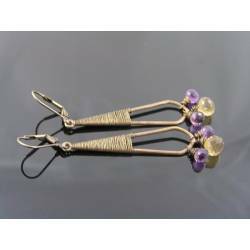 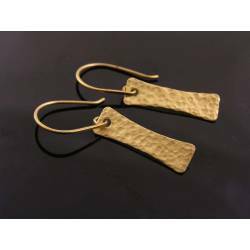 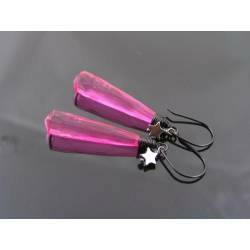 These are super light weight, dramatic earrings. 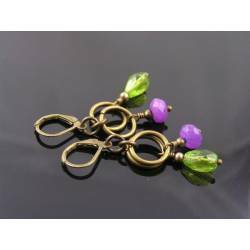 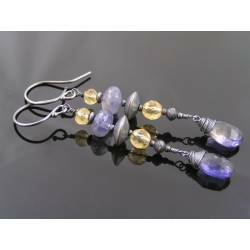 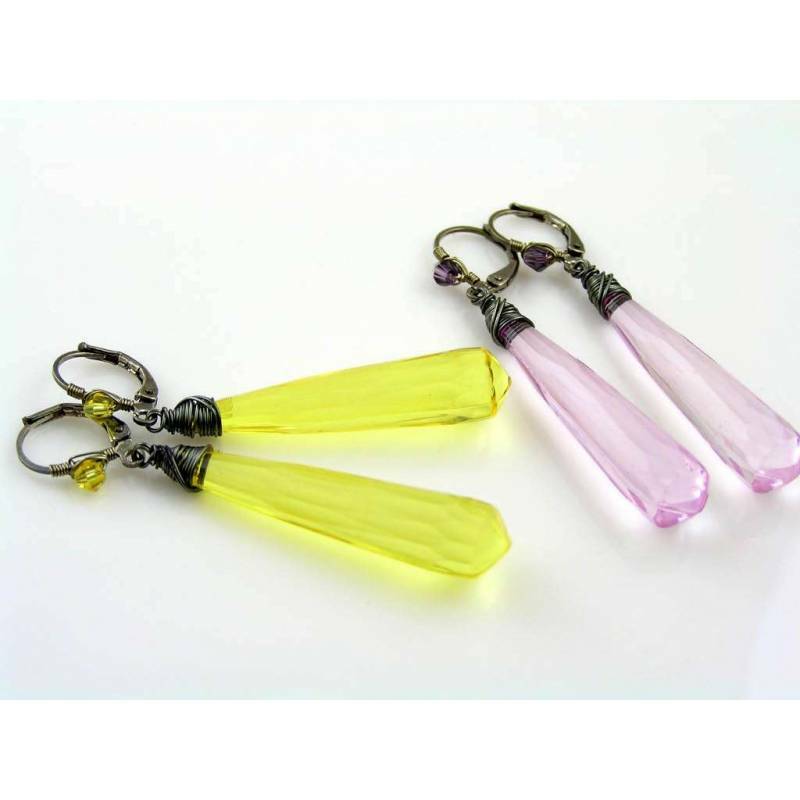 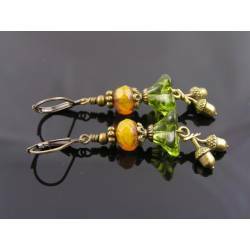 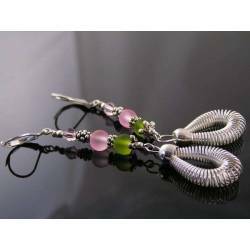 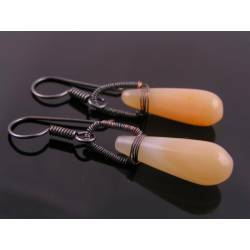 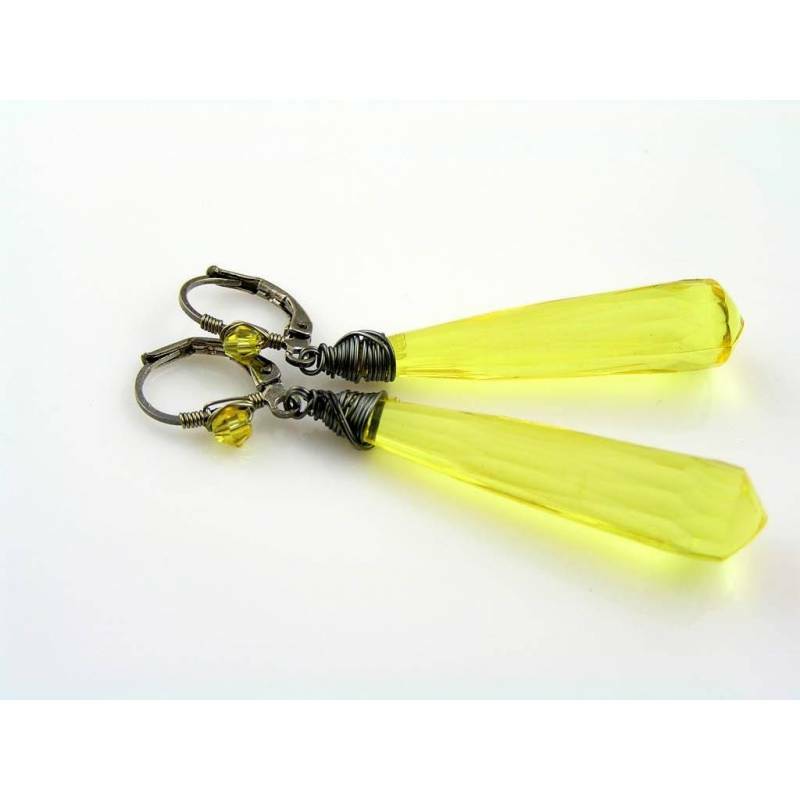 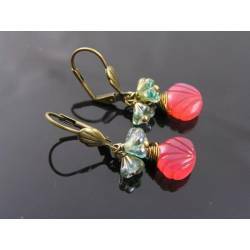 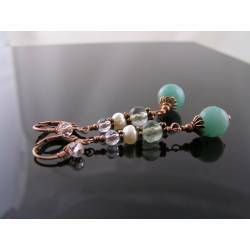 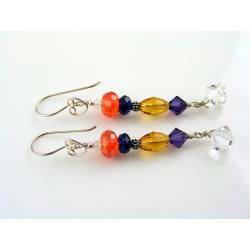 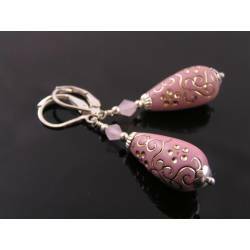 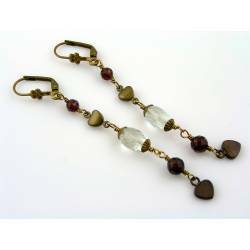 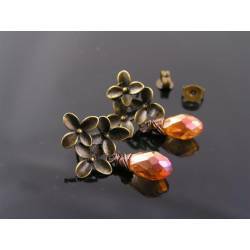 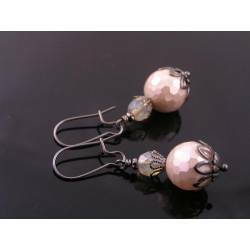 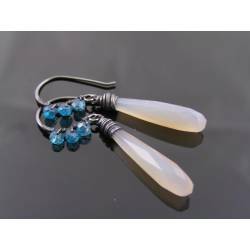 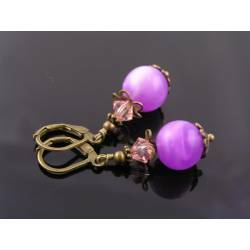 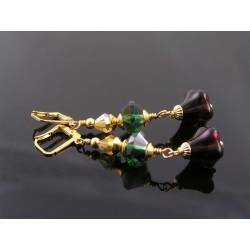 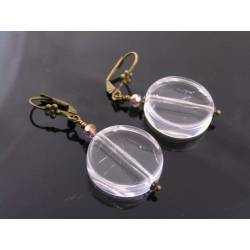 Brightly coloured, transparent and faceted acrylic drops were wire wrapped and then attached to secure lever back ear wires. 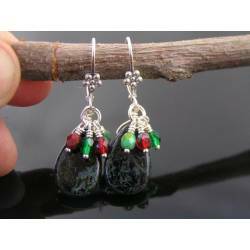 The ear wires are also wrapped, adding tiny crystals in a matching colour. 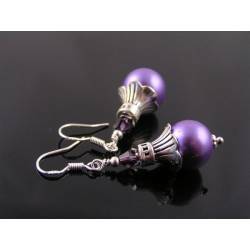 This listing is for the purple and black pair, for all other colours, please contact me in advance. 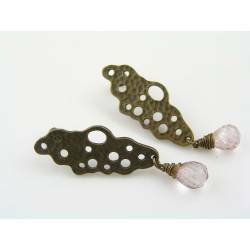 The earrings measure 55mm in length, all metal is gunmetal. 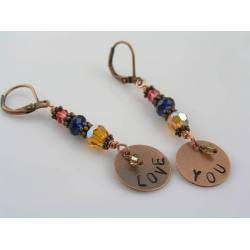 Photo #4 shows all available colours (contact me before purchase to make sure your colour is still available), metal choices are: silver tone, sterling silver, gold tone, gold filled, bright brass, oxidized brass, antique bronze tone, solid copper, oxidized copper, antique copper tone, rose gold tone and rose gold filled.